The end of September marks the start of Munich’s much celebrated Oktoberfest, the world’s largest folk festival, which celebrates its 185th edition this year. Its history dates back to October 1810, in honour of the wedding between Crown Prince Ludwig of Bavaria and Princess Therese of Saxony-Hildburghausen. The citizens of Munich were invited to attend the festivities held on the fields in front of the city gates to celebrate the royal event. Although the original festival lasted five full days, it eventually became an important fixture on the German calendar. For a country synonymous with beer, this is almost a no-brainer. 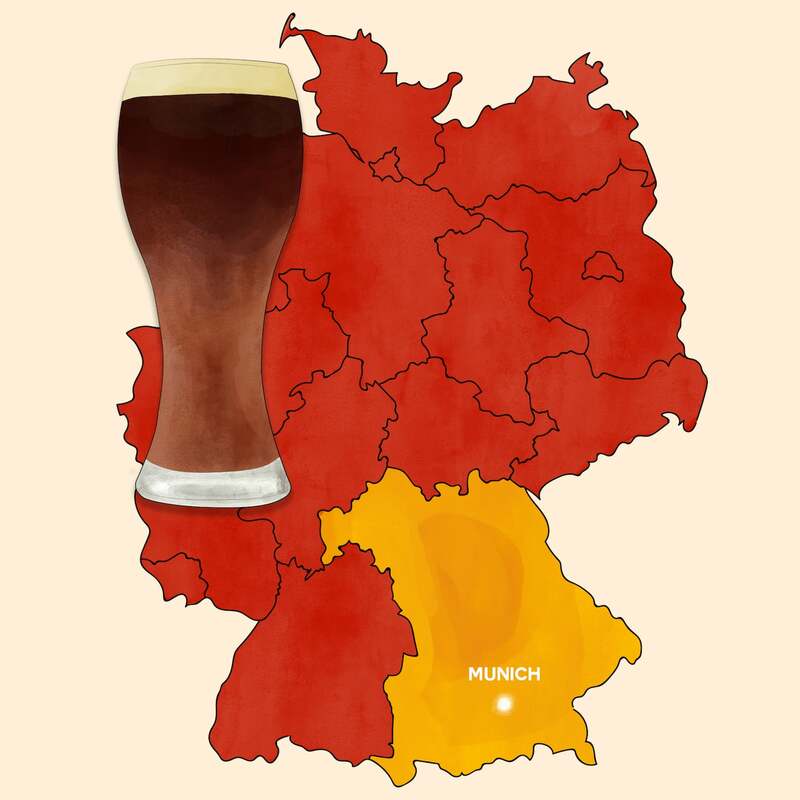 There are the craft beers of Australia and Irish stouts, but German beers are in a league of their own. For one, they are regulated by the Reinheitsgebot (Purity Decree) of 1516 — the oldest food and beverage law in the world — which dictates that only four ingredients can be used: malt, yeast, hops and water. Secondly, the beers all boast different styles, depending on which region they’re from. 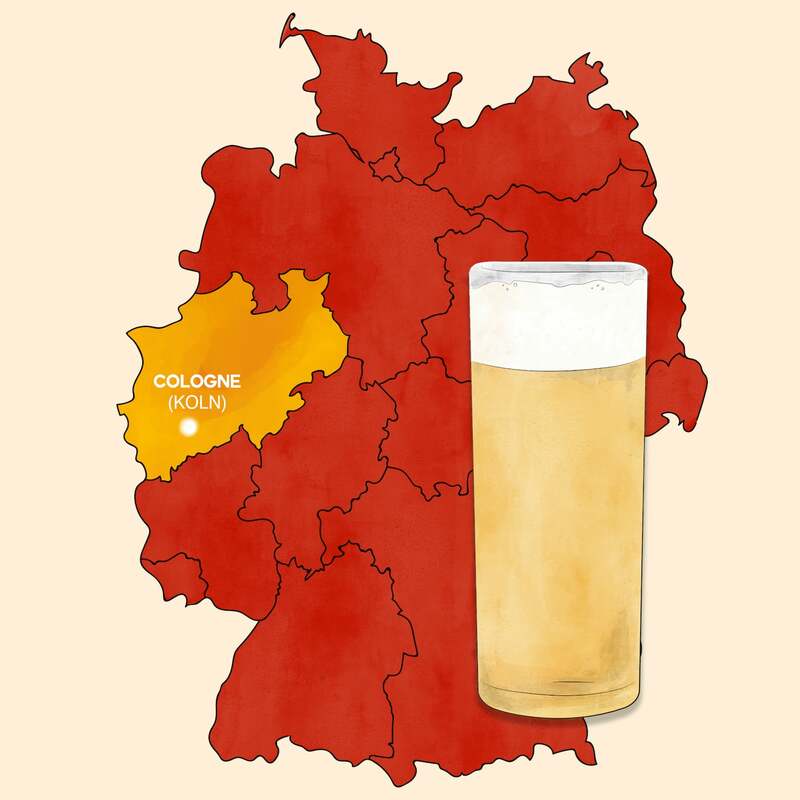 If you’re heading to Germany anytime soon and planning to embark on a regional breweries trail, it may help to learn some of the most popular and iconic German beer styles. 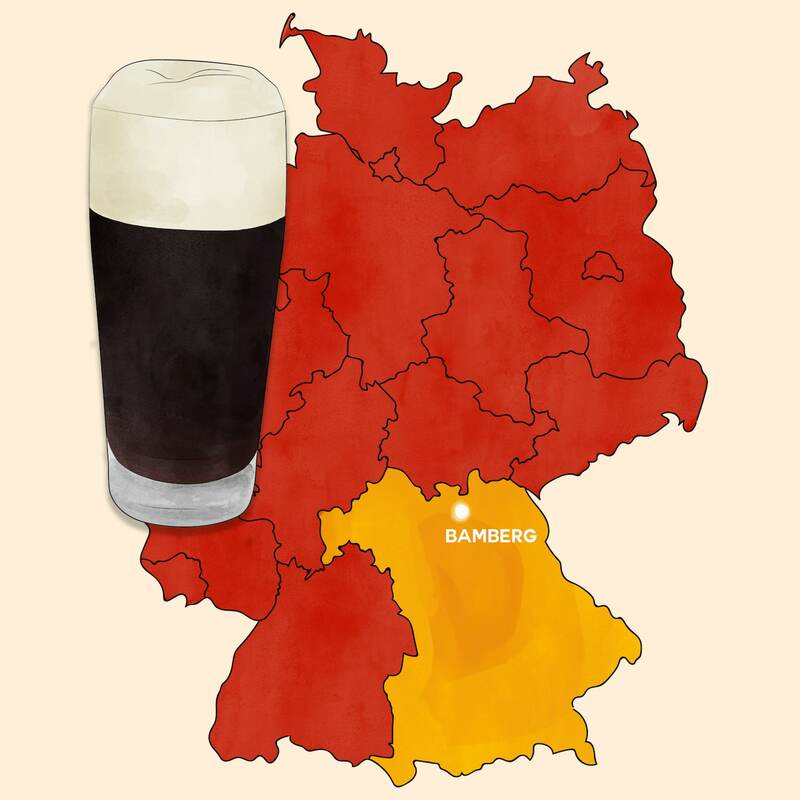 Here, we’ve sussed out a guide to some of the most iconic regional beer styles of Germany in their regions of origin, whether it’s Bamberg’s Rauchbier, Cologne’s Kölsch, or Bavaria’s Schwarzbier. Some beer aficionados prefer ale, while some swear by lager. Kolsch is a unique style offering the best of both worlds, fermented with ale yeast and finished in cold temperatures like a lager. The result is a beer that exhibits some of the best characteristics of both categories. Kolsches are usually light and drinkable, often with a touch of muted fruitiness to them (which is sometimes described as “vinous”). However, they also typically exhibit the much crisper, cleaner finish you would expect from a pale lager. The best foods that pair with this style are those that blend sweet and spicy flavours, such as Thai cuisine, mango salad and a wide range of German sausages. 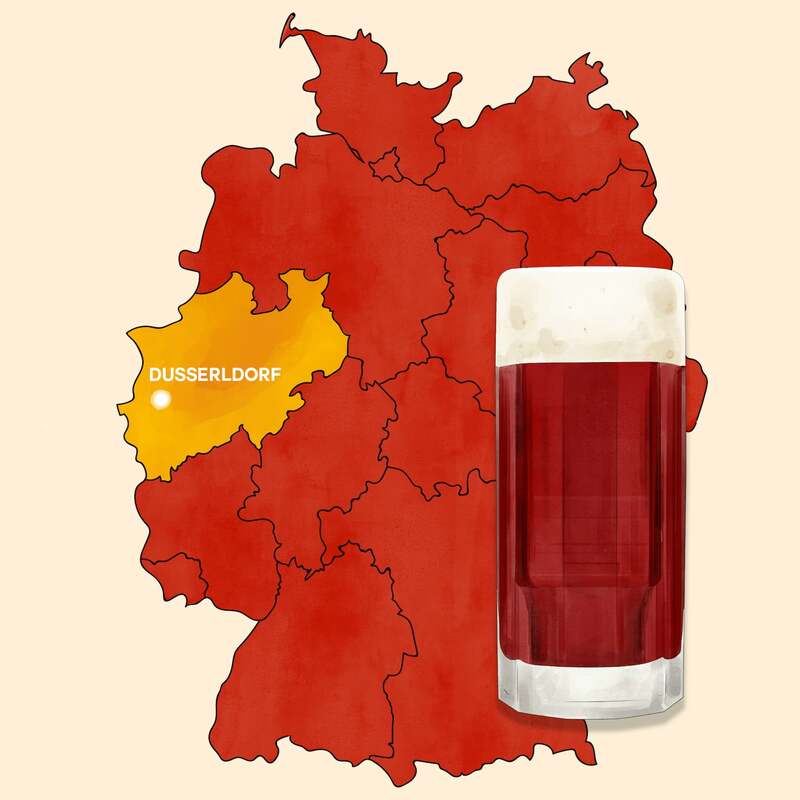 Similar to Kolsch beers, Altbier, brewed just outside Dusseldorf, is a hybrid of an ale and lager. It is made with the pale malts and Saaz hops of a classic German Pilsner with some darker, roasted grains; and employs an aggressive, top-fermenting ale yeast to reduce the sweetness. Unlike an ale, however, Altbier is fermented at cooler temperatures and conditioned for months — similar to a lager. The result of this unique brewing process is an entirely distinctive, an often under-appreciated, flavour. Altbier is characterised by its fairly bitter yet balanced by a smooth and sometimes sweet malt character that may have a rich, biscuity and light, caramel flavour with subtle malty aroma. Its appearance is usually light copper to a light brown colour, which is very clear from extended cold conditioning. A drink synonymous with Berlin, the Berliner Weisse, has a history that traces back to the 17th century. Light, sour, and golden in colour (unless fruit is added), the beer is called the “Champagne of the North”. The Berliner Weisse is made of a grain bill of 50 percent wheat, and 50 percent barley — dosed with the lactic acid-producing Lactobacillus bacteria, combining soft mouthfeel with fruity acidity. 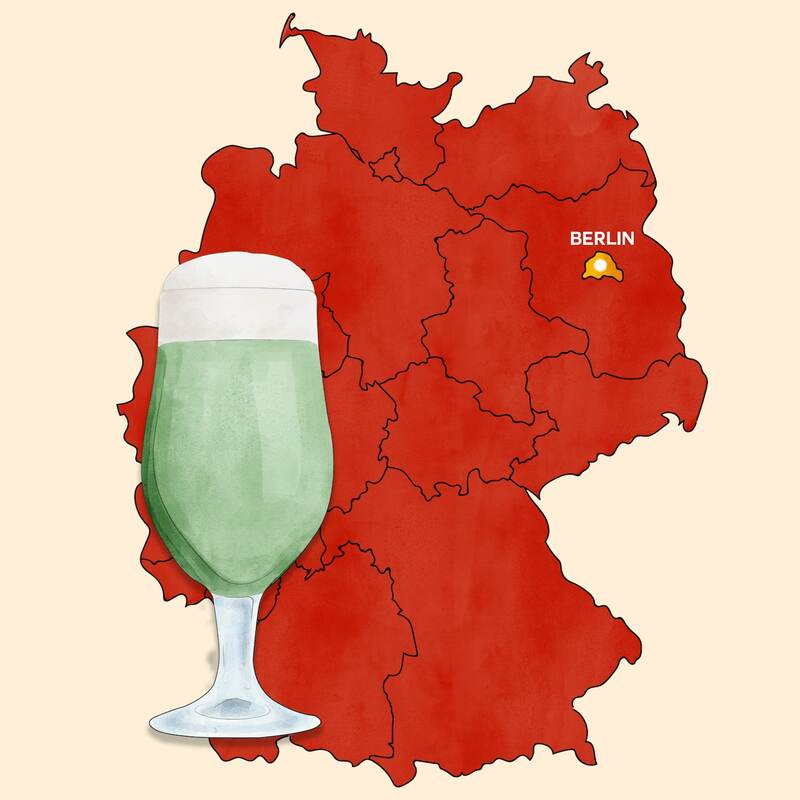 To soften the tang, Germans traditionally serve Berliner weisse with syrup that’s rot oder grün (meaning red or green). This is made either with sweet raspberry syrup, and the more traditional woodruff, a grassy herb. Wheat beers are one of the most popular German beer styles. Dunkelweizen is a dark wheat beer, similar to the popular Hefeweizen, except for the inclusion of some dark malt and an attendant depth of flavour. The flagship brew, Schnieder Weisse Original, has been continuously-brewed since 1872, and has a rusty cast that is a window into the Hefeweizens of several generations ago. Dunkelweizen has a bit of caramel and a light maltiness, its finish is tart, dryish and, owing to the chewy yeast and protein-rich wheat, is paradoxically medium-bodied, all of this in a modest strength of 5.0 percent ABV. Rauchbier is a lager brewed with rauch (smoked) malt — thus its name, which translates to “smoke beer” in German. In the past, the pervasive use of direct fire in the malting process imparted smokey flavours to malted grain, which carried over into the resulting beer. As these processes evolved, the vast majority of brewers and maltsters moved away from direct fire to indirect heating methods, leaving only a handful of breweries in Bamberg. The result is a slightly toasted, malty richness of a Marzen — with a smoky character that leaves a ham or bacon-like note at higher levels. The malt also creates a rich, even sweet, palate but the finish should be semi-dry to dry, with the drying effect enhanced by the smokiness. Rauchbier pairs well with grilled meats or other rich meat dishes such as roasts, stews, jambalaya, and oysters; as well as foods high in umami, like mushrooms, tomatoes, anchovies, olives, soy sauce and potatoes. Schwarzbier, or black beer, is a dark lager made in Germany. The lager tend to have an opaque, black colour with hints of chocolate or coffee flavours. 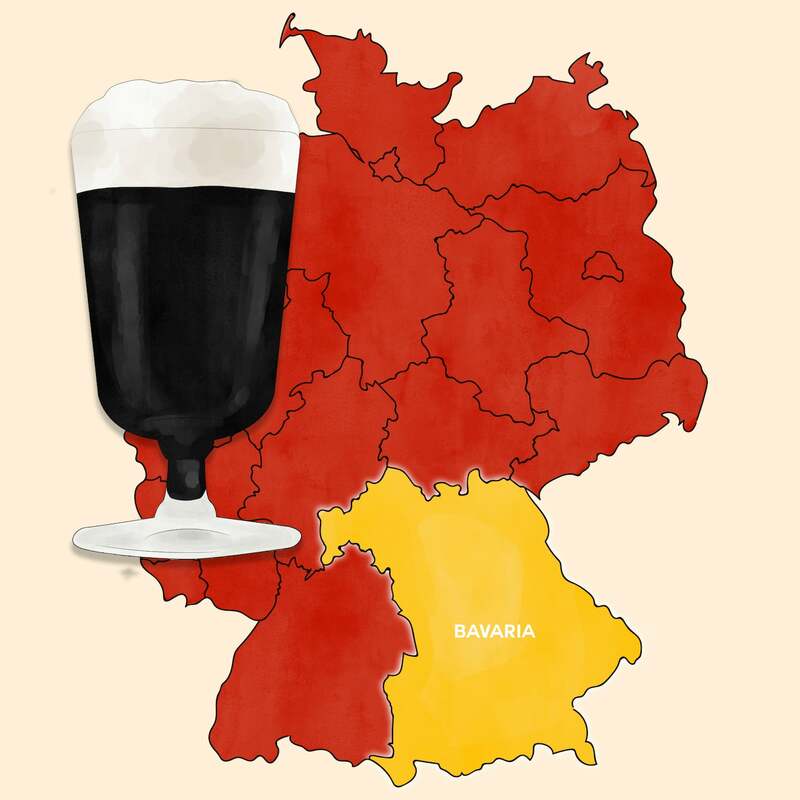 Its origins lies in what perhaps is the most significant historical brewing region in the world: southeastern Germany, including some of Bavaria, and portions of the former Bohemia, which is now the Czech Republic. Today’s Schwarzbier-style beers combine Old World rusticity with the graceful smoothness of Lagerbier, and a clean roasted edge with German malt complexity. This is characterised by its deep, ruby-black colour and modest strength.